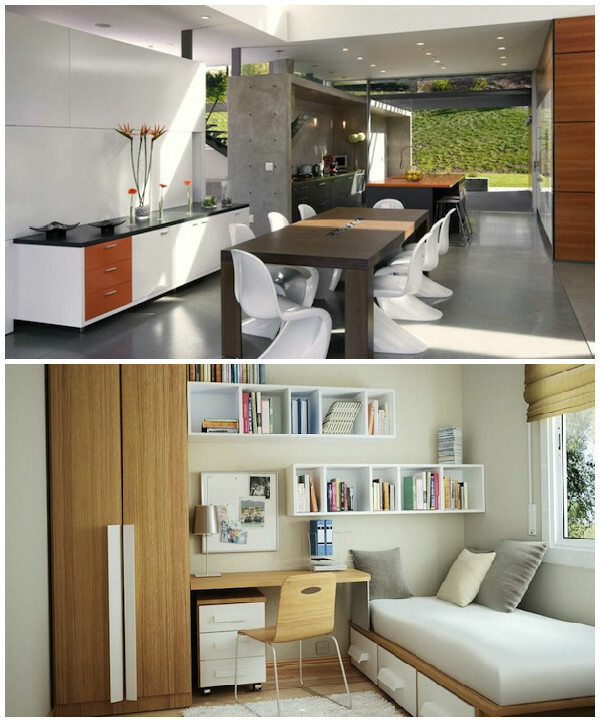 Although it shares many visual similarities with minimalist decor, modern or mid-century design is less concerned with paring down things to the bare essentials. Its hallmarks are the use of geometric shapes and smooth curves, which are often seen in the furniture of the 1950s; curved butterfly chairs contrasted by boxy dressers with angled legs. With its more relaxed mix of shapes, mid-century decor is inviting and hospitable, and does not lack for creature comforts. 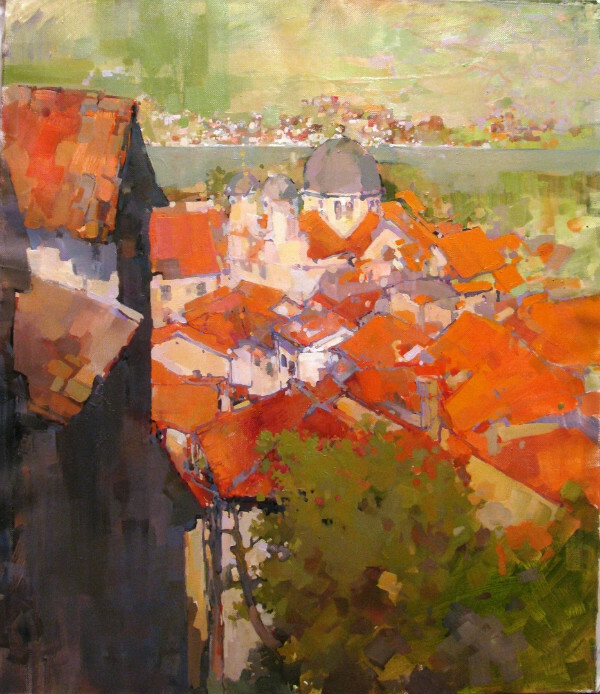 Impressionist art seeks to depict natural light and its effect on colors, capturing the overall feeling of a fleeting moment. For these reasons, it often features nature or outdoor scenes, and the brushwork is spontaneous, creating a soft, dappled effect throughout most impressionist artworks. The gentle, eye-pleasing aspect of impressionist art blends perfectly with mid-century decor, and shares its aesthetically beautiful and mild nature. Modern or midcentury décor are used to describe a wide range of spaces that can differ vastly in terms of look and atmosphere, as they all take inspiration from design elements that are highly flexible. For instance, using more clean, straight lines and metallic materials will create a more muted, serious feel, while using lots of natural materials, especially light colored wood, evokes a more casual, welcoming ambience. For this reason, choosing how to incorporate art into a modern home depends on the desired overall feel of the space. 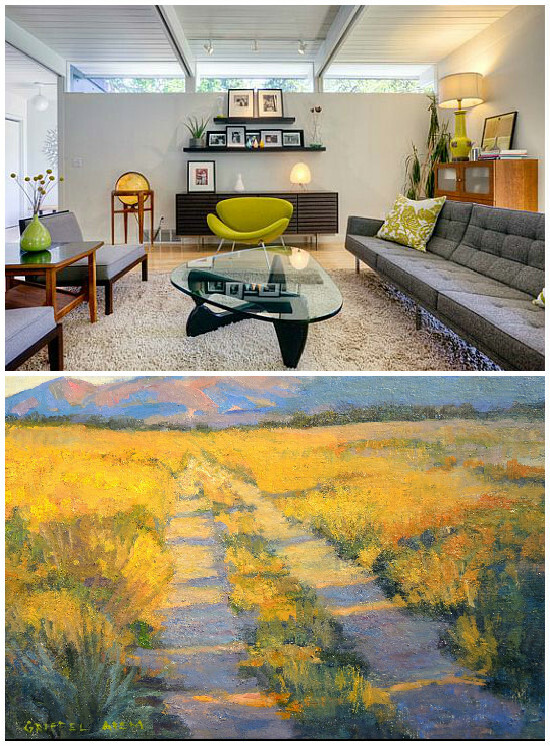 Mid-century homes with lighter and more varied accent colors can better accommodate classic impressionist art pieces, especially depictions of natural landscapes. On the other hand, an impressionist artwork in less vibrant colors and a cool tone can lighten the mood without looking too out of place in a darker modern space. The greater variety in design elements like shapes and materials also means that more artworks can be displayed harmoniously with other items in the room. 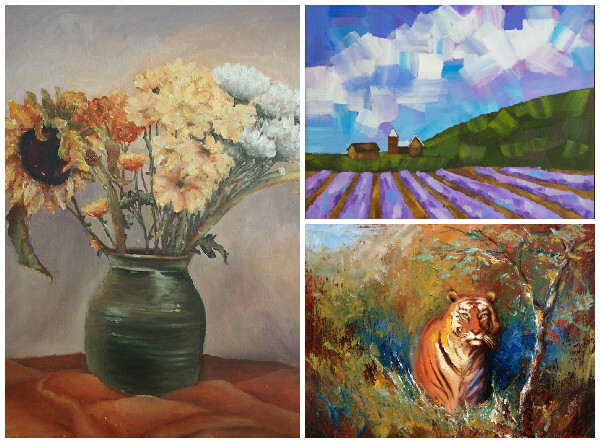 Clockwise from left: Still Life by Fion Teo, Lavender Fields 2 by Fayne Muldoon, and Assassin Tiger by Nabil Merza. Which artist has caught your eye? Do check out their profile pages to see more of their works!